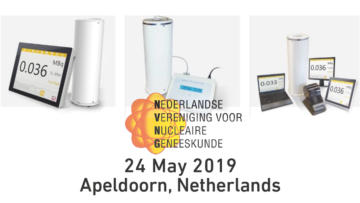 Comecer will be present at NVNG Scientific Spring Meeting (NVNG wetenschappelijke voorjaarsbijeenkomst) on May 24th 2019, at Gelre Hospitals in Apeldoorn, Netherlands. “Artificial Intelligence in Nuclear Medicine” is a great theme for this year’s Dutch Association for Nuclear Medicine Scientific Spring Meeting. Speedy Glove, a battery-powered glove tester that performs leak testing on gloves installed on isolators or RABS. It’s the fastest one on the market! And you can try it at our tabletop! Iris, a radiopharmaceutical injector that performs calibrated injections to patients, starting from a multi-dose solution of FDG or other radiopharmaceuticals. If you want to fix a booth appointment with our Area Sales Manager, Frank Nuus, use the form below to do that.